The Chatham Kent Women’s Centre provides emergency shelter to women with or without children. Women and children escaping violence find a safe haven at Chatham Kent Women’s Centre, a home where they can heal their physical and emotional scars and rebuild their lives. Providing a safe haven to women and children fleeing abuse remains at the heart of our mission. Our centre truly embodies an atmosphere where women can learn to expand their confidence, their skills and their very sense of self. 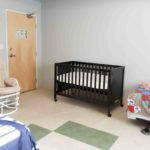 The accommodations offer space where women can gather in groups for support and family rooms and suites provide privacy for women and their children to begin to mend their lives in a safe, secure and accessible environment. Women in our home have demonstrated remarkable courage, strength and resilience, and they deserve to be treated with respect. The Centre has eleven bedrooms comprising of family suites and single rooms. 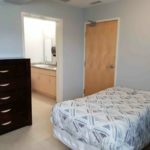 The shelter is run cooperatively by residents and staff, which means that everyone shares in the daily maintenance of the house and residents are able to live with other women and children in an abuse free way. The Chatham Kent Women’s Centre provides twenty four hour counselling and support. There are always two staff available to meet the needs of the residents. Counselling at the Women’s Centre seeks to empower women to make informed decisions based on the options available. Information on abuse issues, legal issues, housing, employment resources, financial assistance and other services offered in the community is provided by staff. The staff also provides support in residence to moms who may have concerns about their children’s behaviours and/or their reactions to witnessing woman abuse. To help the most, we must not take power away from women. Women in our home have developed tremendous strategies for surviving horrific situations and we encourage them to trust their own decisions. Our counsellors are available 24 hours a day, 7 days a week. We offer one-on-one and group counselling and encourage women to share and learn from each other, and support each other. Women’s Programming explores different experiences for abused women including independence, self-esteem, healthy relationships and boundaries. Workshops are also offered with guest speakers on parenting, budgeting, healthy eating and other relevant issues brought forward by women. Social activities such as games, movies, and self care are also organized. Each week there is a house meeting for the women to discuss programs, safety, health and cooperative living and any other issues that may arise. This is everyone’s chance to discuss as a group the best way to organize day-to-day living, make suggestions and meet new residents. Children’s Programming: The Chatham Kent Women’s Centre offers group activities for children in residence. A Residential Children’ Group is offered once a week for children ages five and up in residence. The group runs continuously and children may start at any time. The centre staff also offers parent relief once or twice a week and child care is available for appointments. There is a big and bright playroom and large backyard for the children to play freely with toys and activities. 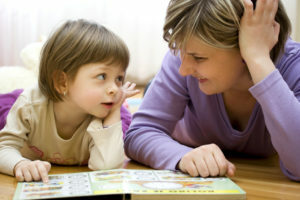 Activities are structured for both children and for children and Mom together.